Looking for Mohawk carpet reviews or SmartStrand carpet reviews? I thought the best way to get the word out about how incredible Mohawk SmartStrand Carpet really is was to search the web for some reviews. I pinpointed some excellent Mohawk carpet reviews from consumers just like you. These are all real SmartStrand carpet reviews however I have masked the emails and usernames so that we protect their privacy. Let’s see some reviews! I love this carpet! It came in so many colors, it was easy to match. It is so soft and plush to walk on in bare feet. It looks great, cleans up easily and looks brand new every time you vacuum it. The carpet is in my family room, my dog’s favorite room. He drags his dirty toys around it, so it’s important to me that it resists stains and cleans up nicely, which it does. I chose this carpet because I wanted something durable. I have three kids and a dog. I’ve only had the carpet for a few months but it is beautiful and durable. My dog scratches the carpet with her claws and it still looks new. The stairs still look plush. Great product! Best Carpet I’ve ever owned. I bought this carpet because of the rhino demo, VERY impressive. The color selection was out of this world! We picked Soft Mink #506, I love this carpet. Cant wait until income tax time so I can carpet my master bedroom! We recently bought our first home and replaced all the carpet with Mohawk smartstrand silk carpet. We love how soft it is and how easy it is to clean. Highly recommended! I am in love – AGAIN! We had Smart Strand installed in our old house in 2009. We ended up selling that house & buying another in 2011. I ask our realtor at the time if we could take the carpet with us. We finally replaced the carpet in our new home in July 2012. We ended up going with the Style Renewal in Weathered Timbered. I loved the previous carpet but I am absolutely IN love with this carpet. I can not believe how soft it is. I absolutely LOVE this carpet, it is the softest, prettiest carpet I have ever touched. We just put it through out our entire house a couple weeks ago. We did a lot of tests on the samples, bleach, marker, mustard, juice, and everything came right out without leaving a mark. I even scrubbed extra hard on one and the retention seems good. We love laying on it and feel safe letting our baby play on the carpet now. The other day we had a hard time getting up, and not because we were so tired, but the softness lured us right in and kept us there! My husband and I purchased the Smartstrand Silk and it is worth every penny! The feel of silky thickness under my feet is amazing! We chose the color Burnished Brown because between our kids and my husband refusing to take of his shoes in the house, I knew we would need a color that would be able to hide any spots between cleaning. My only “surprise” was that my Dyson would no longer vaccum the floor due to the thickness and high pile. I ended up purchasing a Riccar and even then the thickness makes it feel like Im pushing a non-propelled mower. NOT THAT I MIND!! The first night my kids and I just laid down in the hall enjoying the feel of the carpet! The love to tell there friends that they have “silk” floors in the home! We had Sweet Dreams installed in Fallen Timber, a darker color, throughout the entire house. It is soft, plush, cushy and all the things you’d want in a denser, medium pile carpet with an 8 lb pad underneath. We had a Dyson and switched to a Hoover Windtunnel Pet on a Level 4 height. I hope the carpet doesn’t fray on this setting. This vacuum moves well over the carpet unlike the Dyson with the beater bar turned off. The carpet does show every footprint, but it’s plush look account for that. We are very happy and will watch over time how durability and stain removal progress. We have only had this carpet for two weeks, but already the ease of stain removal has proved itself! My dog got into a large bag of M&M’s while we were out and I came home to rainbow colors on my white carpet where the dog had licked them up and down the hall. I was sure that this was going to be a disaster, my new carpet ruined. But, 10 minutes, a washcloth and some warm water later there was no sign of the M&M dye. So far this carpet meets and exceeds my expectations with regards to ease of cleaning – Phew – disaster averted! I had to have a dark colored carpet in the past because we ride it hard. Because of the warranties offered, I took a HUGH risk and ordered a color I would have NEVER have had the nerve to select in the past. I HAVE BEEN NOTHING BUT THRILLED!! Thank you Mohawk for such a wonderful product. I have all my friends and family so impressed becuse we have three dogs, and our daughter has horses, and we picked a VERY light color and it still looks like the day we had it installed!!!! We have a smaller home and the path from the front door to the kitchen is a deal breaker for any other product, but not the SmartStrand. Thanks Mohawk – I am a customer for life!! Well there you have it, great reviews straight from the horse’s mouths! 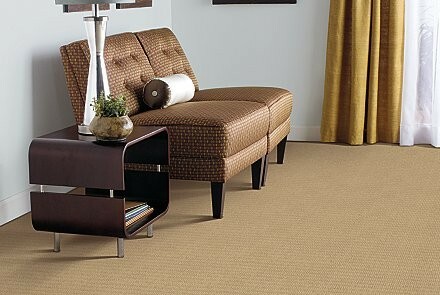 Consumers like you are simply thrilled with Mohawk SmartStrand Carpet! So what are you waiting for? 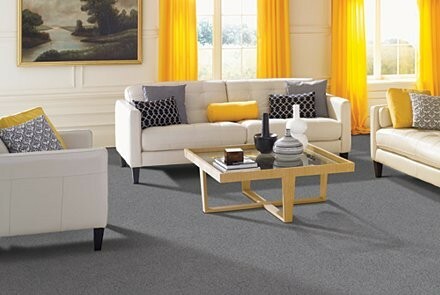 Click to View Mohawk SmartStrand Carpet and Order Your Free Sample! Thanks for reading, and as Always, Happy Home and Flooring!